Our new range of cast hand film is Australian made on a high-speed extruder, it allows us to offer an extremely competitive priced film while maintaining excellent quality. Cast film is the best film for customers wrapping directly onto high gloss products like laminate as it has no adhesive layer and won’t leave a residue, its smooth surface allows it to cling easily to itself and its extremely clear so barcodes can be scanned easily through the stretchwrap if needed. 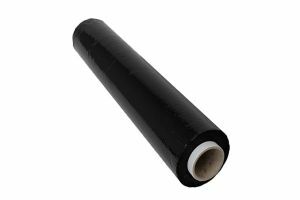 We have stock readily available in multiple thicknesses in clear and black. We can even make it to custom lengths if you have a specifically desired roll weight. 500mm x 350m x 25um Black hand cast stretchwrap Allowing for increased puncture and tear resistance. It comes we 2 free end plugs per carton. 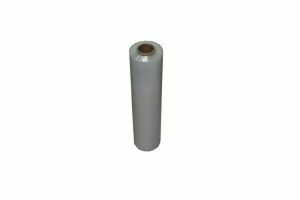 500mm x 350m x 25um Hand stretchwrap is a high metallocene blend. Allowing for increased puchure and tear resistance. 500mm x 380m x 23um Hand Stretchwrap It comes with 2 free end plugs per carton. Allowing for increased puncture and tear resistance.